Here is your opportunity to own a CANADA LEGALIZED MARIJUANA colorized Royal Canadian Mint Medallion, which has been beautifully enhanced with colorized images by the Merrick Mint. 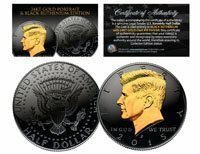 Each medallion comes in a premium coin capsule with a full color Certificate of Authenticity. This medallion has been colorized with an application of special inks directly to the surface, using a unique and painstakingly multicolor process, which achieves a level of detail, color saturation, and durability that is #1 in the industry. Each medallion is about the same size as a U.S. Half Dollar coin and features a Canada Maple Leafs design on the reverse and a colorized image on the obverse.